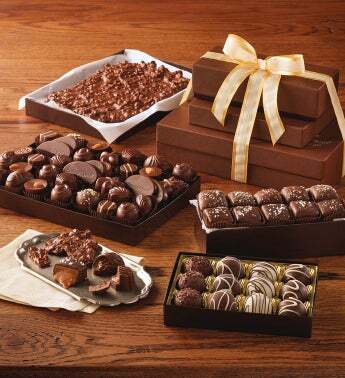 Giving the gift of chocolate is one of the best things you can do – it’s edible, sharable and who doesn’t love chocolate? There are plenty of chocolate clubs out there that can easily be gifted, but some offer exclusive options just for gifts and are most gift-centric than others. 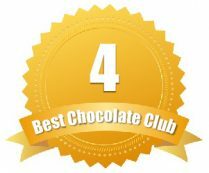 To help you decide, we have compiled a list of the Best Chocolate Clubs for Gifts so you can find the perfect one for your recipient. These clubs were selected for their affordable gift-worthy pricing, gift options and their reputation – after all, you don’t want to pick a chocolate club for a gift that doesn’t deliver, right? Gourmet Chocolate of the Month Club is designed for gift-giving. They only offer one membership, but it can be purchased as a gift and if you select it as a gift, a customized gift announcement will be sent to the recipient before the first shipment. Also, personalized gift messages are included with each shipment. The price is perfect for gifting – especially if you opt for their shorter contracts. They offer some fun, exciting selections as well – such as wasabi chocolates and sea salt caramels. The club sends one pound of fine chocolates each month along with a newsletter and tasting notes. Shipments start at $34.95 per month plus $14 shipping for a total of $48.95 per shipment. Add something extra to the gift. If you are purchasing as a gift, pair your chocolate of the month club membership with their other delightful monthly options, such as wine or cheese. Harry & David has a long-standing reputation for excellent gift baskets. In fact, all of their products are specifically designed for gift-giving. They even offer unique packaging and additional upgrades for those that are purchasing the Chocolate Club as a gift. 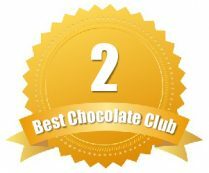 Their Chocolate Club membership can be paired with other signature monthly club options, including the cheese or fruit of the month. 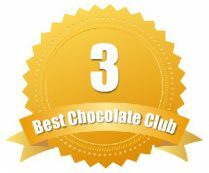 Harry & David’s Chocolate Club is available in three, six and 12 month subscriptions. For those giving it as a gift, the three month subscription is more than adequate. The three month currently starts at $99.99 plus $6.99 per shipment for a total of $120.96 for three months. Want to save a little more on a three-month subscription? If you sign up for Harry & David’s Chocolate Club through Revuezzle, you can get the three month membership for $84.15 instead of $99.99. Save 15% with Coupon. Chocolate.org is a great option for gift giving, especially because they have customized membership options, such as their Truffle Lover's Collection. This membership can be purchased for as many months as you wish with no minimum. It starts at just $24.99 per shipment, plus shipping. 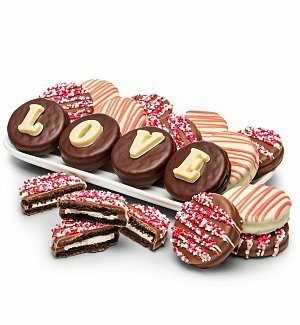 Check out their other chocolate gifts on sale too. Chocolate.org doesn’t just specialize in monthly clubs. They also offer chocolate gifts and items from their chocolate shop that can be purchased in addition to their monthly options. Combine with Other Clubs? 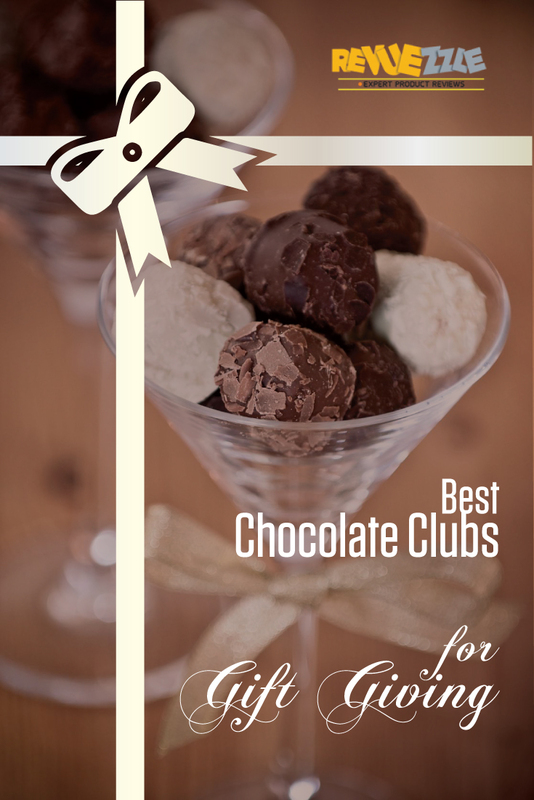 With Clubs of America you can combine a chocolate club with another club such as flowers, coffee, or wine maybe to create a truly unique gift. We are going to cheat a bit on this last one, because even though it's not a chocolate club we feel it's a great chocolate gift giving idea. 1 bottle of De Paola 2008 Zinfandel – Best in Class! The truffles are from Jessica's Chocolate Kitchen in Santa Barbara. These truffles come specially wrapped in a gift box that contains eight hand-made, award-winning Chocolate Truffles that pairs really well with the wines. Interested in Other Wine Combo Gift Sets? Gold Medal offers other great wine combination gift sets! Other Great Chocolate Gift Ideas! Chocolate Caramel Apples 2 Ct.
Chocolate Covered Strawberries 6 Ct.